← Solar Highways – could they be an answer to the energy question? Are you prepared for identity theft? I can assure you that I am not. Even if the theft is not a total assumption of your identity I (fortunately) can only imagine what it would be like if someone took out my credit cards numbers, online subscriptions or bank accounts on an individual basis. When I was away last month I lost my mobile phone for 8 hours. My initial panic was that the people I cared about would not be able to reach me. But then I thought about what I had on my phone itself and realized that I was very vulnerable to someone going through what’s on my phone and lifting whatever they could. While I don’t have any credit card or financial information, I still have very personal things on there and my personal life would be greatly compromised if that information were to fall into the ‘wrong’ hands. How about you? Do you (like me) have a bunch of passwords for a ridiculous number of accounts? And like me do you at times have difficulty keeping track or remembering which password goes with which account? What about the suggestion that you should be changing your password regularly AND changing it to some non-memorable string so that it cannot be easily decoded? That’s a great idea, until you considering having to remember all of these bizarre passwords. Carrying around a piece of paper or something in your wallet listing all the various passwords seems impractical to me. If that piece of paper or wallet gets lost (or stolen)… well you get the idea. As time passes there will be more online accounts and even more passwords. More to remember (and while my memory is still pretty good it is not getting better). I’m sure you’ve seen the ads for services that offer identity theft protection. Just to name a few there’s Lifelock.com, Identityguard.com, Guarddog.com, TrustedID.com, IDWatchdog.com and a host of others. I’ve not been tempted to subscribe to any of these services as it just seems so unnecessary and a waste of money, but I am having second thoughts. I’m not certain they work and their guarantees would not save the hassle if someone were to really ‘steal’ my identity. According to a US Government Accountability Office study it was determined that “most breaches have not resulted in detected incidents of identity theft”. However the report also warned that “the full extent is unknown”. 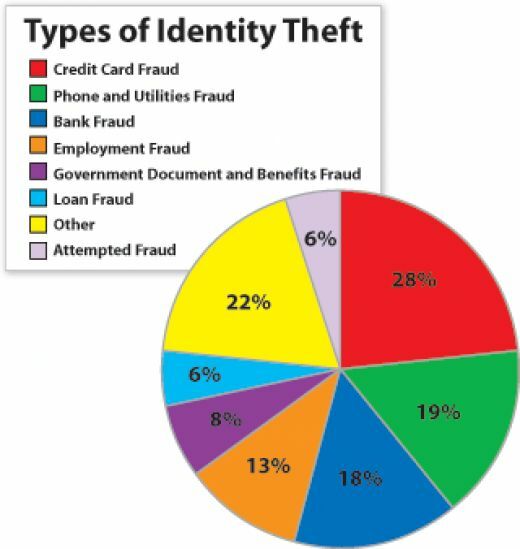 A later unpublished study by Carnegie Mellon University noted that “Most often, the causes of identity theft is not known,” but reported that someone else concluded that “the probability of becoming a victim to identity theft as a result of a data breach is … around only 2%”. So the percentages are pretty low but the effect catastrophic if you are one of the unlucky 1 out of 50. I’m not sure if I need to do anything or not. How about you – what are you doing? Have you got any other ideas? This entry was posted in Customer Experiences, Living in the World Today and tagged GuardDog.com, ID Watchdog, Identity theft, Identityguard, IDWatchdog, Lifelock, losing your identity, TrustedID, US Government Accountability Office. Bookmark the permalink.